Healthy Happy Pooch is almost here! After many months of sitting behind a computer, I'm excited to introduce Healthy Happy Pooch! This remarkable story is about a woman and her dogs. Over the last twenty years, Sanae Suzuki has pulled herself back from the brink of death by using a healthy diet and a holistic lifestyle—twice. During these periods of brave struggle, she pondered the idea that what was working for her, might work for her pooches. By feeding them human-grade, plant-based foods, she has seen them recover from illness, become more vibrant, and live to ripe old ages. Happy Pooch is their story. 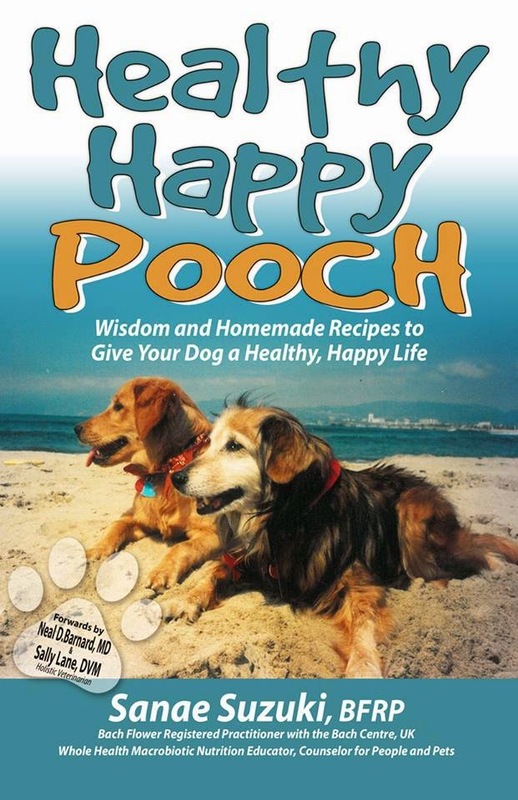 The book is immensely practical, and includes recipes the reader can make for doggy dinner tonight, as well as tips on everything from supplements to dog soap. But Healthy Happy Pooch (HHP) is also a heart-expanding journey into dramatic healing, canine friendship, and a girl who harnessed the power of nature. 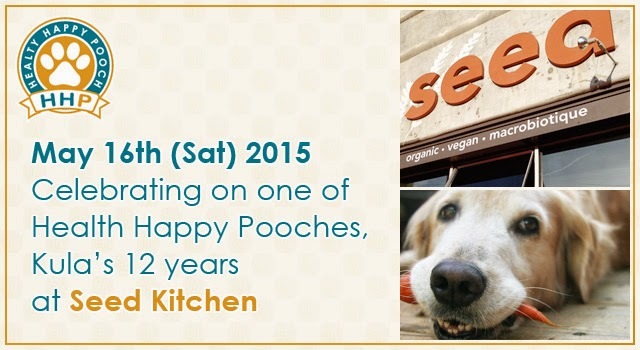 Join us on May 16, 2015 at Seed Kitchen as we celebrate the release of Healthy Happy Pooch and Kula's 12th Birthday!